Think making special candy is hard? Think again! These Easy Chocolate Truffles are decadent and only require a few simple ingredients to make. Creamy, rich, and indulgent they will make you smile again and again. Who will you be making a batch for? Full Disclosure: Albertsons compensated me for developing this recipe with their products. That being said I have been an Albertsons shopper since I was a little girl and shop there on a regular basis. My promise to you is that I will only promote products and companies I love and use in my home. I’ve been making these easy chocolate truffles about as long as I can remember. My cousin Stephanie always made them at Christmas and included them on her epic plates of candy. Year after year they were one of my Dad’s favorite treats. We made them in different flavors, rolled in nuts, with a maraschino cherry inside and pretty much anything you can think of. 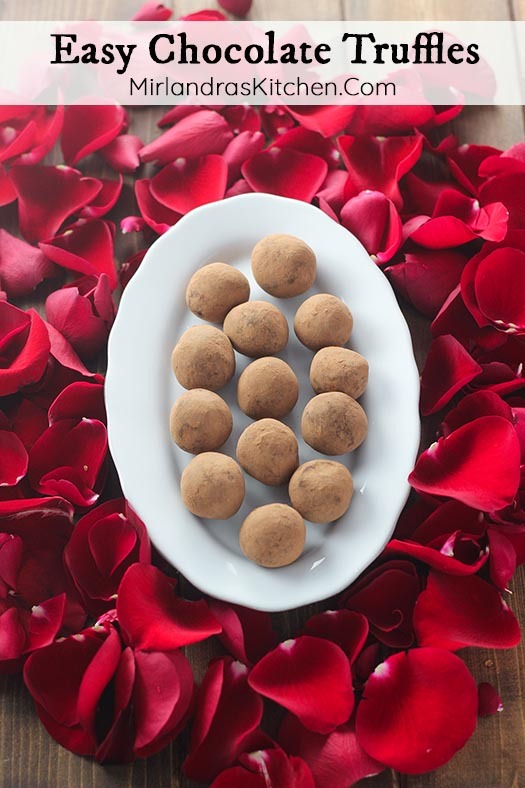 My favorite version is probably the simplest: milk chocolate and plenty of almond extract combined into a smooth, creamy, decadent truffle that melts in your mouth. Dad is gone now but our family still makes and enjoys these frequently. This year I had the privilege of making them with my son for the first time. He has just turned two but is a connoisseur of good food. If he likes something he will ask for more of it. If he LOVES something he will trouble himself to learn the name so he can ask specifically for that item. Guess who learned to say “truffles” this week? With Valentine’s Day just around the corner I wanted to do something special in honor of two of my girl friends. I became friends with Katie and Kim (yes Crazy Kim of the Taco Balls recipe) hanging out playing board games and drinking wine. As Jack came into my life these women worked to create a space where we could do mom life together. Most weeks we get together and let our kids run wild while we try to keep the peace, talk about the good / the insanity, and generally encourage each other in this wild adventure that is motherhood. These women have spoken words of encouragement through pregnancy, sleepless nights, teething, that first time I made a mistake that put Jack in harms way. They threw baby showers and made jokes and let me be known in all my imperfections of motherhood. A true and trusted friend is priceless. 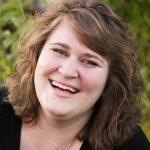 A mom friend in the trenches with you – that is something I don’t have words for. This winter I wanted to make a little gift to acknowledge all that they have done in linking arms with me in this season of my life. More and more in the last year I’ve come to rely on my neighborhood Albertsons as a place to pick up all the stuff on my list. 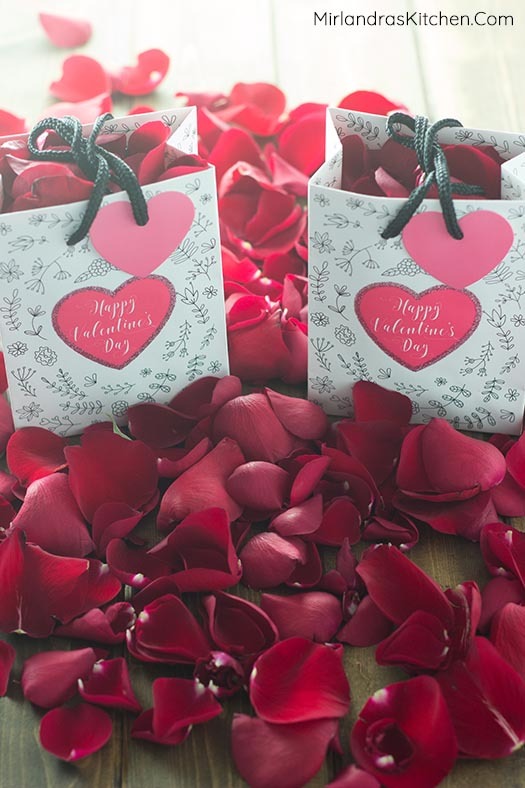 I was able to make one trip and get everything I needed to make the truffles, some cute gift bags, cards, stunning debi lilly design™ alphabet candles, and even a beautiful bag of rose petals for gift packaging! There were so many extra rose petals I let Jack have some to play with and surprised Jonathan with the extras. I had the chance to meet Debi Lilly herself last fall at the Albertsons company headquarters. She is a warm, friendly woman with a creative eye for style and fun to get to know. I’ve enjoyed picking up several of her creations for our home. 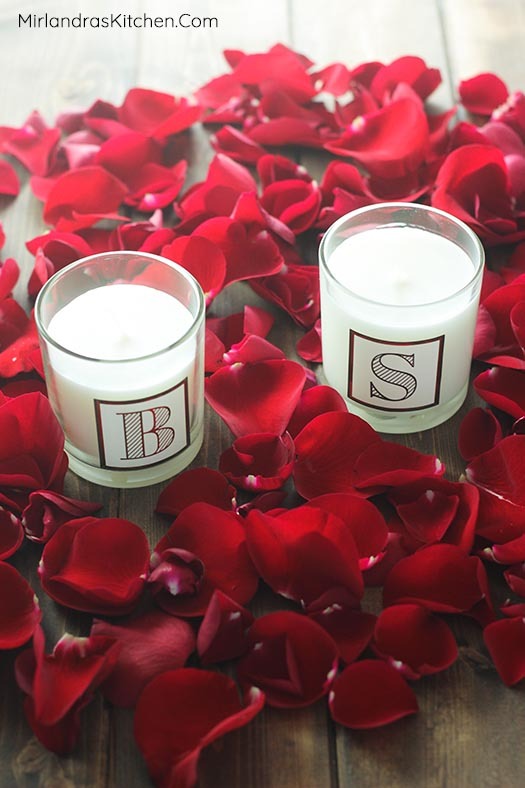 The alphabet candles make the perfect gift and have a subtle scent with just a hint of ginger. Mine is tucked away just for my bubble bathes when I need a bit of personal sanity away from the chaotic existence that is life as a toddler mom. With Valentine’s Day just around the corner I’m enjoying taking a moment to honor the friendships that have meant so much to me. These easy chocolate truffles make it is simple to give special gifts to those people in your life who could use a smile this winter. Who will you be making a batch for? debi lilly design products are available in my area exclusively at Albertsons but they can also be found in the entire Albertsons Companies family of stores. I shop at Albertsons here in Boise and at Safeway when I’m in Oregon visiting my family. Look out for debi lilly design products at Albertsons family stores across the country including: ACME Markets, Jewel-Osco, Vons, Pavilions, Randalls, Tom Thumb, Shaw’s, Star Market, United Express, United and Carrs/Safeway. You can visit Albertsons.com to find a store near you and to get more great recipes like this. Tools In This Post: The easiest way to form truffles is with a small scoop like this melon baller. I like one with a bail that helps remove the truffle from the scoop. If you don’t have a scoop like this you can use a teaspoon to portion out your candy and then continue to roll the portions into balls as directed. Looking for more fun and easy Valentine’s Day Treats? 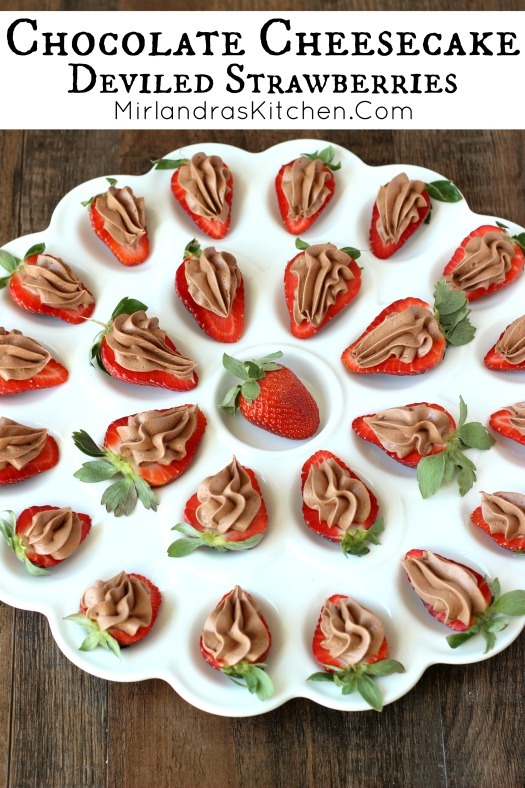 Check out these wonderful Chocolate Cheesecake Deviled Strawberries! Boil 3 minutes. Stir in chocolate chips until fully melted. Then stir in almond extract until the mixture is smooth. Pour chocolate mixture into a shallow bowl or baking dish. Cover and refrigerate 1-2 hours or until filling is firm. (If the filling becomes too firm to roll leave it at room temperature until it is soft enough to work with again. After the filling is firm, use a melon baller to make small balls, about 2 teaspoons. Roll each ball between your palms until it is round in shape. Then roll truffle in powdered sugar or cocoa powder depending on your preference. 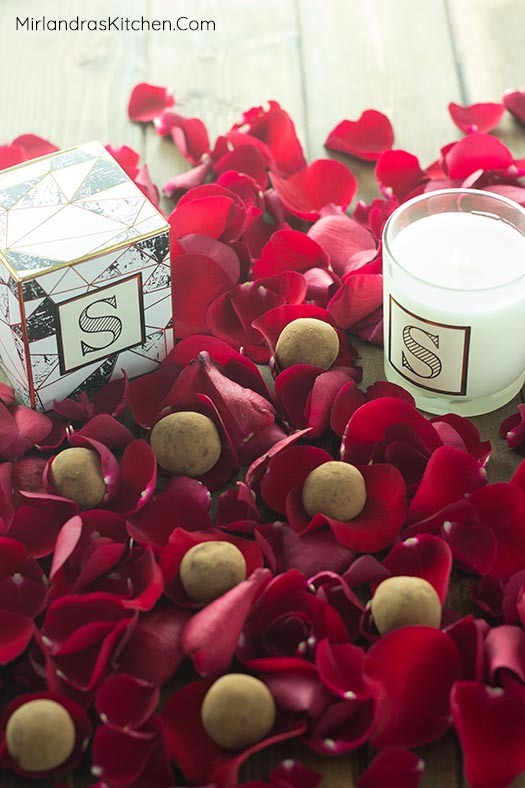 Store the truffles in layers separated by wax paper in an airtight container at room temperature for several days. For longer storage refrigerate up to two weeks or freeze in freezer bags up to three months. If frozen, thaw in fridge overnight. Rolling Boil: A rolling boil means that the liquid is bubbling so hard that you can still see lots of large bubbles coming to the top and popping as you stir. If this sounds confusing you can always use a candy thermometer to make sure you are at the right temperature. Just follow the directions in the next note as if you lived at high altitude! Making Candy Above Sea Level: If you live up a few thousand feet the milk / sugar mixture will boil differently than it would at sea level. Instead of bringing the mixture to a rolling boil and then timing you need to use a thermometer. Just clip a candy thermometer (usually less than $3 at the grocery store) to the side of your pan. As you stir watch the temperature. When the sugar / milk mixture reaches 190 F go ahead and add the chocolate. Follow the rest of the recipe as directed! Previous Post: « Glad you are still here!